A woman and two children were taken to hospital following the incident. GARDAÍ HAVE APPEALED for witnesses after a young man died in a two-car collision today in Meath. A man (19) received critical injuries when the car he was driving was involved in a collision with another car on the R162 Navan to Kingscourt Road at about 1.20pm this afternoon. Emergency services attended the site of the crash and the man was pronounced dead at the scene. The occupants of the other car – a woman and two children – were taken to Our Lady of Lourdes Hospital in Drogheda. Their injuries are not thought to be life threatening. 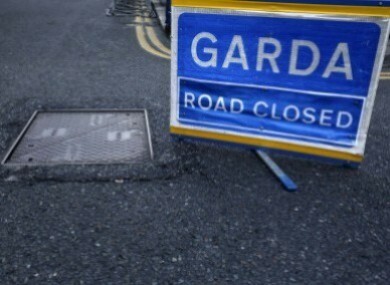 Garda Forensic Collision Investigators are at the scene and the road remains closed for examination. Diversions are in place. Witnesses or anyone with information is asked to contact Navan Garda Station on 046 9036100. Email “Gardaí appeal for witnesses after man dies and woman and children injured in two car crash”. Feedback on “Gardaí appeal for witnesses after man dies and woman and children injured in two car crash”.